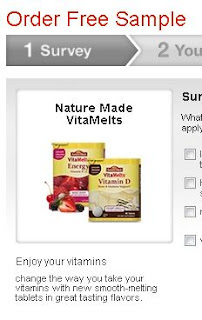 Get a free sample VitaMelts @ Target. Just click the link below to go to the Target website. Click on "Get Sample" to get your free sample. Fill in your mailing information. I love Target!